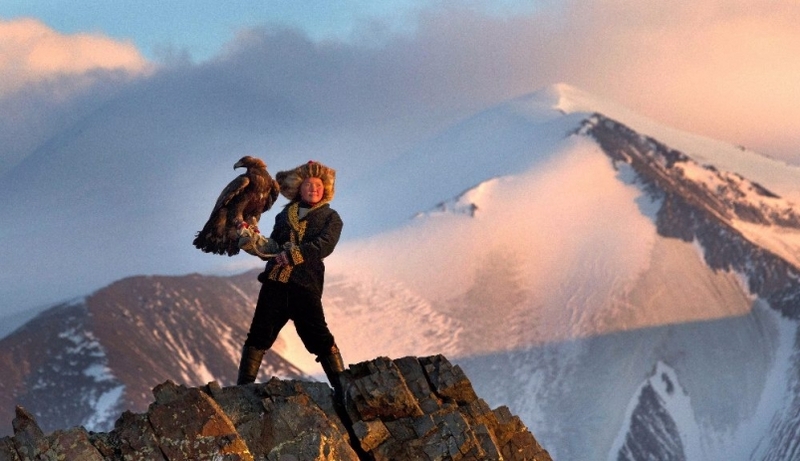 Aishol-pan trains to become the first female in 12 generations of her Kazakh family to become an eagle hunter. This documentary film follows 13-year-old Aishol-pan’s journey, as she rises to the pinnacle of a tradition that has been handed down from father to son for centuries. While there are many old Kazakh eagle hunters who vehemently reject the idea of any female taking part in their ancient tradition, Aishol-pan’s father, Nurgaiv, believes that a girl can do anything a boy can, as long as she’s determined. Directed by Otto Bell and narrated by executive producer Daisy Ridley, the film was nominated for the BAFTA Award for Best Documentary in 2017. A CAST Café supper will be served beforehand from 6pm; something hot and something sweet from £7. Café reservations are not required.